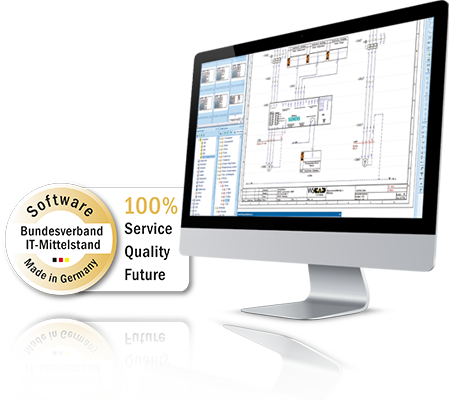 Piping & Instrumentation (PI) enables process engineers and designers to easily create piping and instrumentation diagrams (P&ID). The software intelligently links points of measurements and devices to the schematic circuit diagram or objects in other disciplines and their interactions can be presented logically and checked. Plans in DXF or DWG format are read, augmented with intelligence and “brought to life”. The unique and sequential numbering of the measuring points allows errors in a system to be quickly localized and fixed across the various engineering disciplines, therefore accelerating the engineering process and increasing transparency of the overall design and reducing errors.